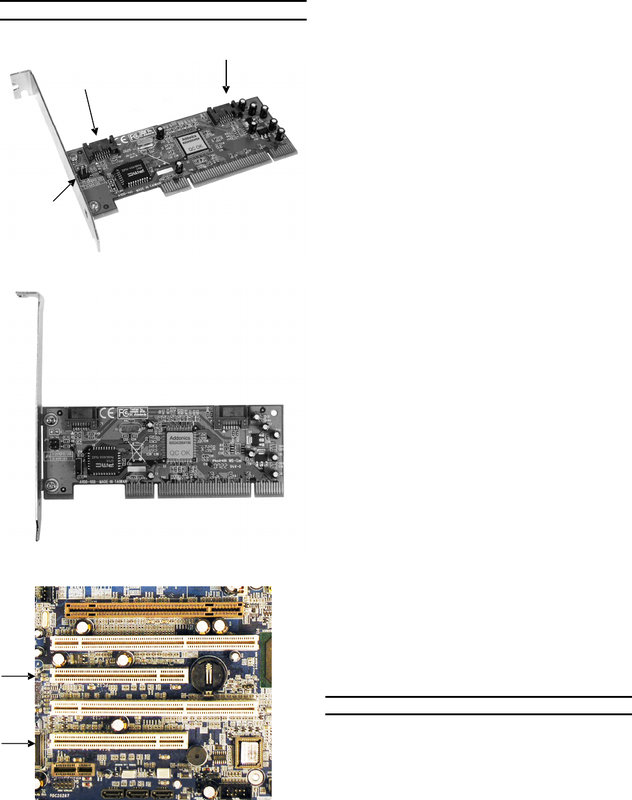 to a PCI Bus slot. automatically look for driver on the wizard. installing the SATA host controller. 1. Turn computer ON. Insert Driver Disk into CDROM. select model of the controller from the list. 4. Extract the files into your system. 7. After software installation, turn your system off. 8. Follow the ADSA Windows Driver installation. 1. Right click the My Computer icon and select Properties. 2. Click Device Manager in the Menu Tree. 3. Click the “+” sign in front of SCSI and RAID Controllers.